**ONE OWNER** SOUTHERN COMFORT PACKAGE, HEATED SEATS, ADJUSTABLE PEDALS, SUN ROOF, NAVIGATION, BACKUP CAMERA, 5.3L, V8, Automatic, Charcoal LEATHER interior, 3rd Row seats, 2nd row captain chairs, Keyless entry, Power locks, windows, mirrors, and seats, Bose Sound system, Rear AC, AM/FM radio, CD player, TV/DVD, Running boards, Luggage rack, Cruise control, tilt and Fog lights. **FREE vehicle HISTORY REPORT available** Buy here, Pay here. We buy vehicles from the public. Come in today for a test drive!! Call us today! 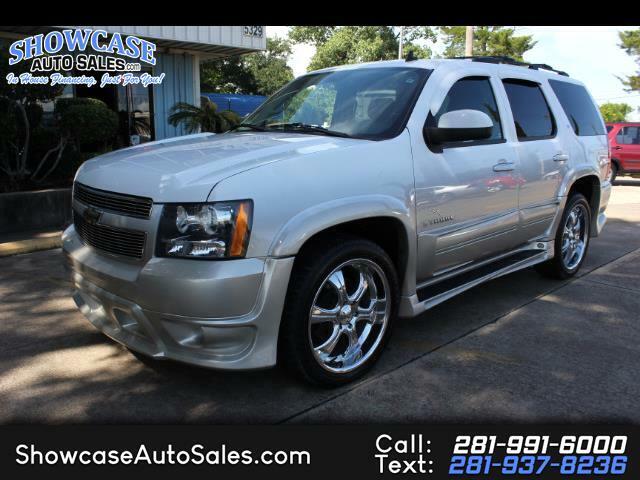 (281) 991-6000 or text us at (281) 937-8236 and visit our website at www.showcaseautosales.com. We will ship worldwide. Message: Thought you might be interested in this 2008 Chevrolet Tahoe.